We have evolving infrastructure changes nailed. Public safety software that does a whole lot more. Whether driving or walking, taking the bus or the train, we know the event-specific routes. Our technology zooms in and out and reroutes in real-time with proprietary software to guide you. Imagine a fun, safe, and sustainable world where every city, every event, and every route, highway, road, parking lot or structure, sidewalk, or places of mass gatherings are managed meticulously by a technology platform that maximizes space and flow in real time. Where pedestrians or drivers, or even driver-less cars, get around without a problem, or even the slightest hassle. Where attending an “Event” is always convenient and where waiting in a “Queue” isn’t experienced. Except, orderly, when a crisis happens. Then every exit, space, detail, and option is already determined and set in place in a fluid evacuation plan. The EventQueue Platform allows and enables authorities to fill in tweaks and gaps immediately—in real time—from a command center that then takes seconds, rather than minutes, to communicate to the public in order to save lives. This is EventQueue. Overview: Vasta & Associates has been building a unique mobile platform, EventQueue (EQ), since 2015 that streamlines traffic, navigation, parking, crowd control and security, in real-time. EQ offers much more to a city, venue, or facility in terms of security, sustainability, and efficiency. EQ creates a digital evacuation plan utilizing crowd sourcing, heat mapping, geo-fencing and other proprietary technology, and puts in all in one place for the user. This unique new technology not only serves the user/fan as well as the authorities and planners, but it’s also a tool for all those citizens trying to avoid the event traffic and congestion. Vasta & Associates as an operations company, and now a software company, will solve event challenges and enhance smart city technologies like never before. With 25 years of experience and leveraging that experience with new technology, Vasta is going to benefit our existing customers and many new customers. Our EQ technology crosses over to many global markets, is sustainable to smart cities, and captures critical data and analytics. The Growing Problem: Event planners, organizers, city officials, participants, and fans are no strangers to the transportation challenges and complexities that accompany hosting and attending major events. Weather problems, safety concerns, navigating traffic, searching for parking, and waiting in long lines, are just a few of the symptoms that surface from the problem that the Vasta team has set out to solve with the EQ Platform. EQ is a mobile technology platform maximizes space and flow in real-time enabling attendees to take the easiest routes to parking and navigate accurately in, and around, venues. Digital evacuation plans and real-time navigation, specific to the infrastructure and actual traffic scenarios, will provide event planners with a new industry standard to monitor mass movements as well as communicate safety and security information effectively. The Opportunity: The growing popularity of major sporting events, business conferences, conventions, and music festivals are only some of the mass gatherings that have brought the burden of transportation and security challenges to the forefront of these operations. Attendees should be spending more time enjoying the event experience and not waiting in endless lines (traffic, foot, or public transportation) figuring out how to navigate the venue and surrounding infrastructure. In addition, the critical issue of event evacuation in emergency situations (weather, threats, or other) has become a tough reality for event planners and venue stakeholders. EQ helps both event planners and attendees solve these issues while remaining a “friendly” application that can assist with finding ordinary points-of-interest such as concessions, water stations, shorter merchandise lines, restrooms, or simply a better way to get around the site. Leaders in municipalities and business are more open than ever to engaging in private-public partnerships to help increase the quality of citizens’ lives, and Vasta is currently proving it with their smart city technology advancements. Now merging with Vasta & Associates, Inc.
WE MAXIMIZE SPACE AND FLOW IN REAL TIME. For Fans, Attendees, Participants, Producers, Planners, City Officials & Organizers. EQ: A scalable way-finder, smart city mobile technology platform to communicate and navigate traffic and crowds in real-time. Because Events or Incidents = Hassles, Inconveniences, and Wait Time. Ever wish a friend inside the stadium could guide you to the best line, or help you find your seat? A guy could get you the best tickets? Get you closer parking? Get you into VIP? Or cut your access time with a shortcut? Our founder was that guy. OK, maybe he couldn’t get you the best tickets, but he did know all the shortcuts and everything to know about the event, such as where to be, and when to be there. Now this critical data and real-time information are immediately available to all—making special events, conventions, festivals, concerts and games more fan-friendly and safer. This company was not started by two guys in a garage, or in a university dorm room... It was started in a helicopter above the Formula 1 Grand Prix. Founder and CEO, Lou Vasta, brings over 25 years of experience in engineering, transportation, and special events expertise. He has been President of Vasta & Associates, Inc., a special events company that has been involved at the highest levels of event planning and implementation for some of the world’s largest events. These events include Presidential Inauguration’s, FIFA World Cups, Olympics, Formula 1 Grand Prix, the USA’s World Cup Bid for 2018 and 2022, NBA and MLB All‐Star Games, Super Bowl’s, Breeders’ Cups, Kentucky Derby, Chicago’s Bid for the 2016 Olympic Games, the G8 and NATO World Leader Summits, and many more high‐profile events, conventions, and consulting for municipalities. Co-founder, Terrence Ryan, brings over 25 years of experience in business and technology with expertise in leveraging mass data, cloud technology, and analytics. Terrence is CEO of LaunchPoint, a company he co‐founded to specialize in building information‐centric businesses that leverage emerging technologies such as cloud computing and advances in information management and analytic disciplines. Before LaunchPoint, Terrence led the Worldwide Information Management practice for Hewlett‐Packard (HP), where he was responsible for building HP’s global presence for information management services. In this capacity, he led strategy, portfolio development, and programs for consulting services in business intelligence, content management, data management and unified information management. Terrence joined HP in late 2006 when HP acquired Knightsbridge, the leading business intelligence consultancy in the U.S. that he co‐founded. Prior to Knightsbridge, Terrence held various leadership roles at Lante, Technology Solutions Company and American Management Systems. Terrence’s consultative management background, significant domestic and international leadership experiences, and executive oversight in many capacities have directly impacted many companies’ year‐over‐year growth and success over the last 25 years. Director of Technology, Nicholaus (Nick) Bauer is a computer engineer with over 16 years of experience creating end-to-end software solutions. Nick specializes in system integration and process automation, and has experience writing client-facing software. Nick has spent most of his professional career at Motorola Solutions, Inc. (formerly Motorola, Inc.) where he held several roles including web applications developer, software and solution engineer, to security test lab operations manager. 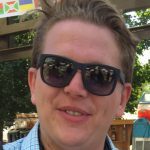 In these roles Nick has developed client server applications which included automation of complex engineering rules and processes, user interfaces suitable for sales and other non-technical managers, proprietary network protocols for zero-install security and compliance applications. All efforts to support mission-critical communication systems. A platform that does a whole lot more than just get you there. Get the most out of your event and get it right in the palm of your hand. Find the fastest route, best parking, shortest line, points-of-interest, and easy exit with our real-time tech. Using our "insider information" that combines knowledge and access from the professionals, we shorten travel time, avoid street closures, find parking, get real-time alerts related to your actual position, and navigate hassle-free, for a better whole event experience. On the App, as easy as "touch" on Route, Parking, or Message icons for specific information and immediate navigation. EQ is for fans, attendees, participants, organizers, municipalities, venues, facilities and more. EQ will change how people attend events and how planners organize them. EQ puts a plan on top of everyone involved in the event and then mitigates the movements in real-time for a better whole event experience. Arrive Smarter. Engage Longer. Leave Quicker. On Your Terms. All in the palm of your hand. Find event schedules. Alleviate hassles. 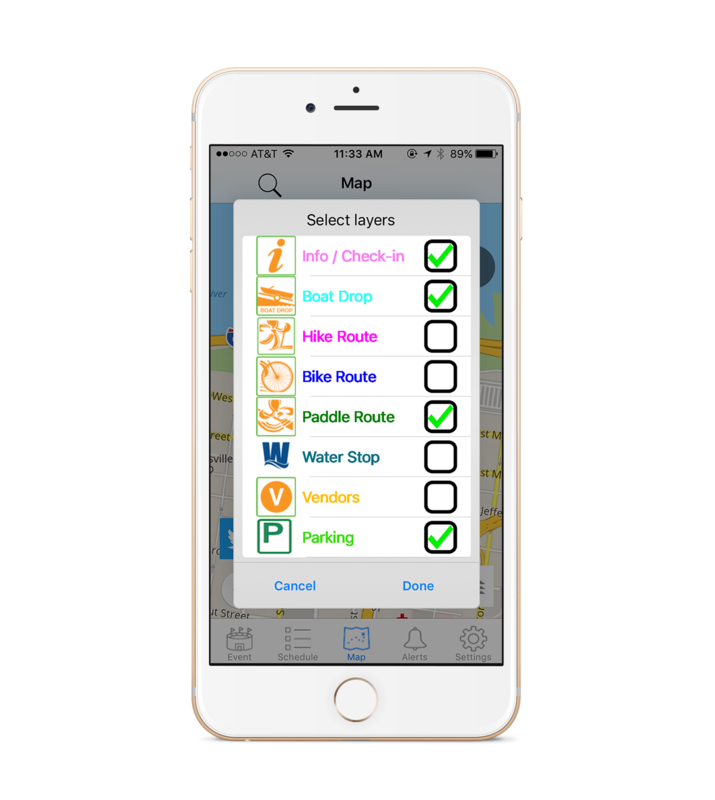 Navigate parade, marathon, event routes. Find better options. Find available parking and convenient lots. Discover closest spaces. Know the best deals. Find shortest line. Closest entrances. Don’t get stuck in traffic or behind closures. Do use EQ to exit quicker. Whether it’s inclement weather or other emergency, find the way out. Emergency and security officials have the information on-hand, in real-time. Seek immediate answers. Use EQ, a real-time way finding mobile technology platform for the most modern, convenient, engaging, and best event experience solutions. EQ stands for EventQueue, an innovative technology that powers apps, such as the EQ Louisville App. EQ synchronizes proprietary software with insider information from professionals and event organizers to provide the best real-time data to event participants, fans, and even those trying to avoid event traffic. It covers more ground and is more accurate than other navigation platforms. Did we say real time? Yes, it’s all done in real time. 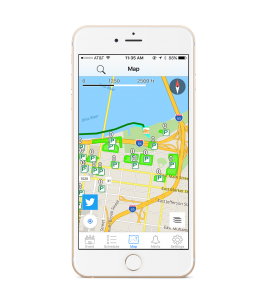 EQ is a proprietary software platform that provides mapping, traffic, way finding, navigation, crowd control, evacuation planning, and emergency communication to fans and other event attendees on their smartphones. Developed by event organizers, local officials, and engineers, this platform will expedite and enhance the user experience at any major event. End users will follow a customized path unique to their own location that will allow them to arrive smarter, engage longer, and leave quicker. Whether driving to or from the facility, finding the right parking lot (and space), identifying the least-congested route, locating gates with the shortest lines, finding line-free restrooms or concessions, or receiving alerts for evacuation and where to go next, the EQ Platform brings fans to their team’s (or facility’s) App, and keeps them there, knowing they have their own unique information from the pros in the palms of their hands. 2. How was EQ Created ? EventQueue Founder and CEO Lou Vasta is a former engineer with nearly 25 years of experience handling operations and transportation management for world-class events including several Presidential Inaugurations, Olympic Games, World Cups, Super Bowls, NASCAR, NBA All-Star Games and Formula 1 Grand Prix events. Two years later, EventQueue technology comes to life as the power behind EQ Louisville. 3. What's the Beta Test ? EQ Louisville’s debut at the Subway Fresh Fit Hike, Bike & Paddle is the beta test for EventQueue technology. Everyone who uses EQ Louisville will help advance this progressive technology that will help change the way people experience events and help the way organizers plan them. The more people who use the app, the more information EQ and the city of Louisville will be able to compile. This real-world information will help EQ and the city of Louisville make the app even better for the next event. 4. What is EQ Louisville ? 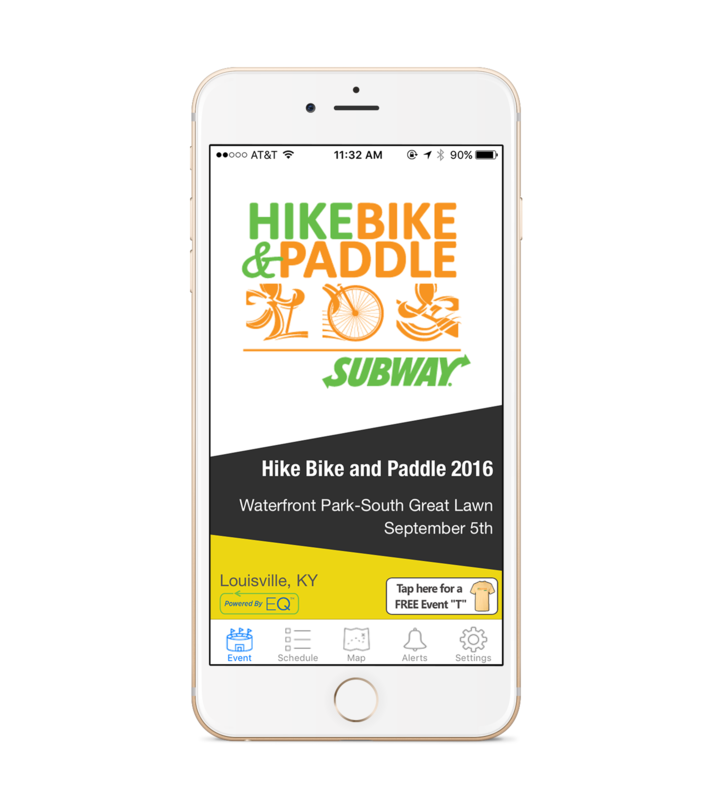 A new, unique, cutting-edge event logistics app being beta tested at the Subway Fresh Fit Hike, Bike & Paddle. Provides comprehensive, accurate real time information that will make large gatherings more efficient, more convenient, safer and more enjoyable. Brings real-time event details, traffic navigation, and parking information together in one easy-to-use app. Avoid traffic and street closures so that they get to the event quicker. 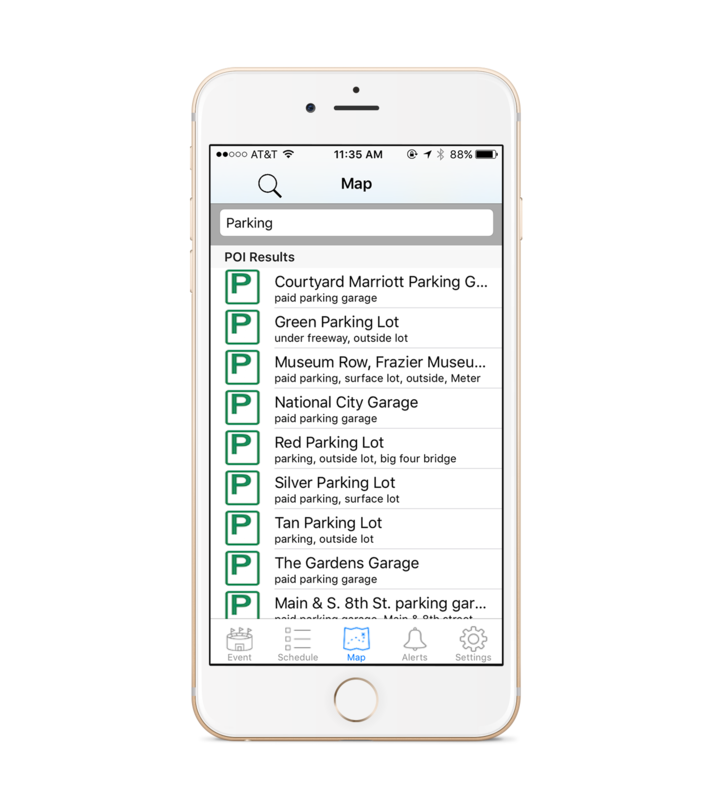 Find available parking so they don’t have the hassle of driving around (and around, and around). Find the event route and keep them on course. Get them home without getting stuck in traffic or behind road closures. A free download from the App Store for iPhone and Google Play for Android. Louisville has a real commitment to smart city innovation. Working with EventQueue to develop and to test EQ Louisville demonstrates this commitment. 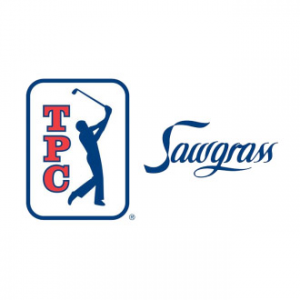 Mayor Greg Fischer and others in Louisville government and public service have been working with the EventQueue team to make this exciting app a reality. For Louisville, this isn’t just about getting people into Subway Fresh Fit Hike, Bike & Paddle, it’s also a major step to smart cities technology. 6. Who funds the Company ? Private investors currently fund the company. Interested? 7. What are the key benefits to users ? Our tag line says it all: Arrive Smarter. Engage Longer. Leave Quicker. On Your Terms. EQ maximizes space and flow with real-time data to improve the whole event experience. Up to date and real-time information all in one place, in the palm of your hand. 8. How is EQ different from other navigation apps ? Other navigation apps are developed prior to events and gatherings being held and don’t incorporate the current plan(s). We give drivers and pedestrians professional info in real-time from the organizers, while others rely on uninformed general public for their data. Our plans have the latest information from organizers about routes, street closures, lot capacities, and traffic flow, and event details from miles away to inside the event. 9. How Does EQ work ? EQ uses proprietary software developed by a team of engineers and experts that uses algorithms that update in real-time to find the best parking, shortest lines, the least congested routes, the best path to gates and seats, points-of-interest, event details, and more – whether driving or walking. 10. WHAT IF THE CLIENT ALREADY HAS AN APP (APPLICATION)? Chances are, the software doesn’t have real-time information for specific events with large crowds and immediate routing information provided by the experts of the event. EQ supplements what is in place, mitigates the challenges, and ultimately enhances the user experience. 11. what about social media ? EQ has its own social media sites on Twitter @EventQueue2016 and on Facebook. 12. What does it cost ? EQ is absolutely free to fans and supporters of events, gatherings and festivals to download on your app. Event organizers purchase and license our proprietary software for their exclusive events. 13. IS THERE ANY POTENTIAL PRIVACY VIOLATION IN USING THE EQ SERVICE? EQ does not capture any personal data of any of its users. The App does gauge users flow into, within, and out of the event in order to manage its real-time traffic flow. Permission to use the EQ technology, marks, logos and/or brand are required and given only through a licensing agreement. 14. WHAT IS NEEDED TO PARTICIPATE ? A smartphone is required with the ability to download our EQ app from either the Google Play Store or Apple iPhone Store. 15. WHY IS A DATA CONNECTION REQUIRED TO USE THE SERVICE? EQ Platform operates withsmartphone mobile technology and needs to be downloaded to work on phones of users. Data can be received through Wi-Fi or cellular connectivity. 16. WHAT OTHER SERVICES WILL BE OFFERED ? The EQ mobile technology platform is constantly being updated with new features or functions that improve the event experience and crowd management. Stay in touch with us through the app or the website (PoweredByEQ.com) for the latest updates. 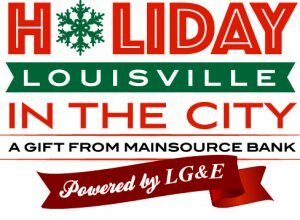 "People are really excited about it," said Brent Turner, marketing and events coordinator, City of Louisville. "I can see there is a special feeling about it, and I've showed people how to work it." Find the easiest way to your event…on your phone!